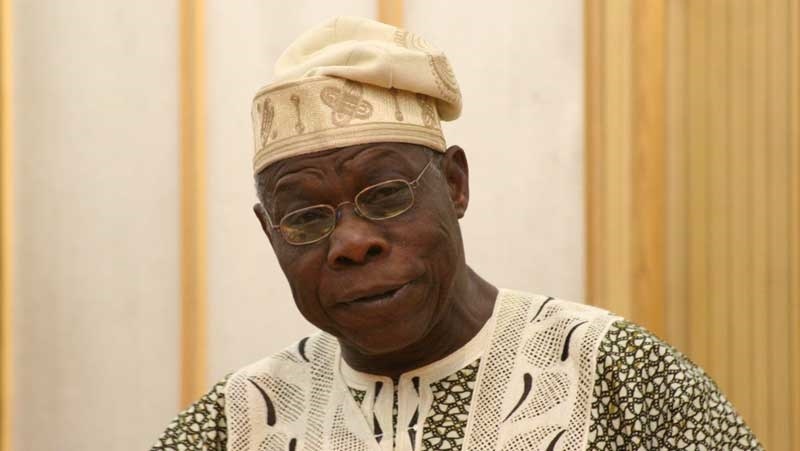 Have You Seen Atiku’s Birthday Wish To Olusegun Obasanjo? A former President of Nigeria, Dr. Olusegun Obasanjo, is marking his 82nd birthday and he has received series of congratulatory messages, but none has been seen from President Muhammadu Buhari. Birthdays are a delight to celebrate, but nothing is sweeter than celebrating it in good health even at old age. One man that has ruled Nigeria two times in his lifetime, just like Buhari is doing, is Dr. Olusegun Obasanjo and he is marking his 82nd birthday still strong and healthy. Wishes have continued to pour in from every part of Nigeria, even though we are yet to see one from Baba Bubu himself. The celebrant was visibly against the re-election of President Buhari. One man that has taken out time to congratulate Dr. Obasanjo is Atiku Abubakar, who lost a presidential election barely one week ago. Another top politician in Nigeria that has also congratulated the former leader, is the Senate President who also lost a bid to return to the Senate in the just concluded election. Some Nigerians have attributed Atiku's loss in the election to comments that Dr. Olusegun made in a book while writing about Atiku Abubakar, but that notwithstanding, the man, who was his Vice during his tenure in office, has seen a reason to wish him well.